The EU project IPODD takes a pragmatic approach to IBDs by focusing on the final stages of gut damage. If criminals were behind inflammatory bowel diseases (IBDs), it would be a band of terrorists, not lonely felons. Dozens of predisposing genes, the immune system and maybe tens of other unknown factors conspire to determine IBDs. There is no puppeteer pulling the strings in these diseases but,rather,an articulate network of causes that ultimately leads to chronic inflammation and damage. When fighting terrorists- real or biological -investigators follow two strategies. On one side, they look for the big picture, gathering intelligence about their hierarchy and organization. At the same time, they also need to control damage, catching suspects before they do harm. The EU-funded project IPODD definitively follows the latter approach. Instead of unravelling the causes of IBDs,the project focuses on the last steps of inflammation, which are the ones leading more directly to gastrointestinal damage. The idea behind IPODD is pragmatic: blocking these steps may not avoid the onset of IBDs but, hopefully, will prevent their worse consequences for patients. IPODD's work focused on matrix metalloproteases (MMPs), a family of enzymes that lie at the end of the inflammation cascade. These molecules may not trigger inflammation themselves, but are involved in its final steps leading to intestinal damage. Because of their ability to breakup proteins (proteases is a general term to indicate "protein-breaking enzymes"),MMPs are a sort of "demolition squads" in the vanguard of inflammation. They dissolve proteins in the matrix (the space surrounding cells),clearing the way for inflammatory white blood cells, and they activate other molecules involved in IBDs, such as cytokines, that also promote inflammation. MMPs may also attack the structural proteins that hold the mucosal lining together,resulting in destruction of the intestinal tissue. About two dozens MMPs are known in humans. A significant part of IPODD's work was to find which MMPs are active in IBDs and to study their specific role in the disease. Researchers compared the distribution of different MMPs in normal guts and in those affected by IBDs,and looked at the activity of their respective genes in patients. All these studies led to identification of several MMPs involved in IBDs. They also provided a better picture of how these proteases interact with other components of inflammation, such as cytokines and growth factors, improving knowledge about the last steps of IBDs. Besides looking at the role of proteases, IPODD researchers investigated strategies to block their activity in the human intestinal tract. Most of today's drugs for IBDs work by suppressing or modulating the immune system's function. Unfortunately, these treatments have significant side effects and are ineffective in some patients. Targeting proteases may help design more effective drugs, because the activation of MMPs is an event that takes place in virtually all patients. IPODD focused on a family of molecules called TIMPs (Tissue Inhibitors of MetalloProteases), which are known to be natural inhibitors of MMPs. Preliminary results showed that TIMPs can counteract the action of MMPs, and reduce inflammation in laboratory models of IBDs. Starting from these findings, researchers are now looking for compounds that may increase the gastrointestinal production of TIMPs. Such compounds, or the TIMPs themselves, may become candidates for drugs potentially useful in IBDs. A core aim of IPODD was to investigate another source of proteases: the trillions of bacteria living in the human intestine. One can hardly overstate the importance of these microorganisms: from fending off infections to digesting foods, there is probably no gastrointestinal function that is not influenced by intestinal bacteria. IPODD’s scientists have discovered that many MMPs found in the human gut are indeed produced by bacteria, and not by our organism. Researchers also found evidence that these bacterial-made proteases may contribute to the development of IBDs. These results show how gut bacteria can be a source of proteases in IBDs, and have prompted researchers to mine these microorganisms for natural inhibitors of MMPs that may be useful as drugs. As expected, they found a number of bacterial-produced inhibitors in the human gut. One perspective now is to select or engineer gut bacteria that produce these inhibitors of MMPs. Such strains may be used one day as a probiotic therapy to help patients, instead of drugs. As many patients know, relapses ("flares") in IBDs often follow stressful events. Several studies have confirmed the link between nerves, the brain and the immune system in the risk of relapse from gut chronic inflammation. Are proteases involved in stress-mediated relapses? To address this question, IPODD included groups with expertise in the study of nerves-gut interactions (a discipline called neurogastroenterology), and their answer is: yes. Indeed, IPODD researchers found evidence that MMPs are involved in stress-reactivated colitis, a study model for flares. These results suggest that inhibiting proteases might also help to dampen the effect of stress on IDB patients and increase the time in remission between flares. 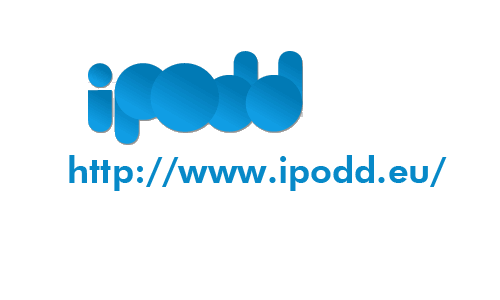 The IPODD project has opened new perspectives in IBDs. As is typical of cutting-edge research, it also brings a number of new unanswered questions. What is the exact role of proteases in IBDs? Can we design drugs that inhibit MMPs without unacceptable side effects? Will we be able to harness gut bacteria to inhibit inflammation? Future studies will hopefully address these and many other issues starting from IPODD's findings. IPODD researchers, however, prompt for caution when thinking about future applications for patients. "IPODD was a basic research project and only further studies will tell whether it will ultimately lead to clinical applications,” says David Grundy, a Professor of Biomedical Science at the University of Sheffield who coordinates the IPODD project. "But the knowledge we accumulated has moved the field further, pointing to new and interesting avenues." A list of scientific publications arising from IPODD's work is available at this link. * Sergio Pistoi is a freelance science writer and consultant with a Ph.D.in molecular biology. He has also works as a communication consultant and Public Information Officer for research organizations and EU projects.